Several years ago, RAS Records, the most venerable U.S. reggae label, released Reggae for Kids, an album of reggae covers of traditional children’s songs. Since most cover albums are gimmicks or tributes, RAS didn’t hold great expectations for its initial foray into kids’ music and was stunned when it quickly outsold every artist on their roster. To put this in perspective, an album featuring a reggae rendition of “Puff the Magic Dragon” proved more popular than the collected works of genre legends like Israel Vibration, Black Uhuru, and Gregory Isaacs. Reggae for Kids has even surpassed Bunny Wailer, the lone surviving member of Bob Marley and the Wailers, whose Grammy-winning 1995 album Hall of Fame couldn’t stand up to the kiddie competition. A follow-up album, More Reggae for Kids, proved similarly popular and continues to sell long after its release. Now RAS has joined forces with Disney to produce a third installment with the hallmarks of a major blockbuster. 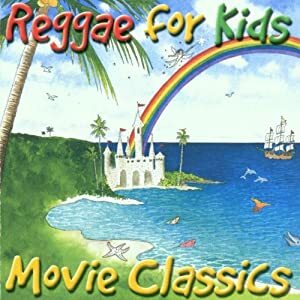 Reggae for Kids: Movie Classics features reggae covers of popular Disney movie tunes like “Hakuna Matata” (The Lion King), “Bare Necessities” (Jungle Book), and “You’ve Got a Friend in Me” (Toy Story). Read the full story from Slate by clicking here.